Many of the Premier League big guns opened their FA Cup campaign on Saturday where there were unlikely upsets, dramatic comebacks as well as high-scoring thrillers. Kicking off the day's action, Manchester United were made to work for their 2-0 win over Championship outfit Reading at Old Trafford. The home side won a penalty with the help of VAR which Juan Mata duly dispatched, before Romelu Lukaku doubled United's lead in first half stoppage time with a cool finish. Many expected Ole Gunnar Solskjaer's men to run away with the tie in the second half given their recent run of form, however that didn't prove to be the case. Reading frustrated the home side for large parts of the second half and even threatened on a couple of occasions themselves. Unfortunately for them it wasn't to be, and ​United secured their place in round four. Current holders ​Chelsea fielded a rotated side for their clash with Nottingham Forest at Stamford Bridge, however were still clinical enough to secure a 2-0 win thanks to a rare Alvaro Morata double which also included two well-worked assists by Callum Hudson-Odoi - who continues to be the subject of a bids from Bayern Munich. Meanwhile, Brighton got the better of Bournemouth in an all-Premier League affair after securing a comfortable 3-1 win with fellow top flight clubs West Ham, Burnley and Everton also securing their passages into round four. 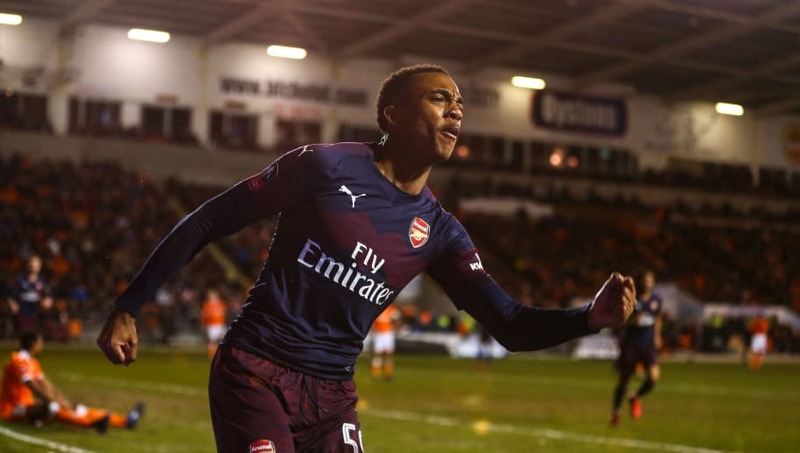 In the late kick off, Unai Emery opted to field a young ​Arsenal side as they travelled to Blackpool, and it proved to be a good call. A first half double from 19-year-old Joe Willock put the Gunners in the driving seat at half time, before Alex Iwobi rounded off the scoring in a comfortable 3-0 win for the Gunners. Perhaps the shock of the day came from Priestfield Stadium where a late strike from Elliot List was enough for League One side Gillingham to claim a huge Premier League scalp in the form of ​Cardiff City. Prior to kick off, Neil Warnock had insisted he was taking the FA Cup very seriously and was true to his word having fielded a very strong side, however they just couldn't break down the Gillingham defence who remained stern and helped secure their win of the season. Huddersfield were also on the end of a giant killing after losing 1-0 to Bristol City. ​Crystal Palace left things late as substitute Jordan Ayew secured an nervy 1-0 win over Grimsby, whilst Matt Ritchie spared Newcastle's blushes as his 85th minute penalty earned Rafa Benitez's men a 1-1 draw, after Bradley Dack had put Blackburn Rovers ahead. To add to the upsets, League One duo Luton Town and Shrewsbury Town both earned themselves replays after securing hard-fought draws against Championship opponents Sheffield Wednesday and Stoke City respectively. As if that wasn't enough for the casual fan to be entertained, there was also a seven goal thriller at the University of Bolton Stadium where Bolton took on Walsall.